Mohamed Makkawy Variable Angle Training (VAT) details the life and training of this bodybuilding superstar. Covering his life growing up in the rural community of Tanta, Egypt, his training with Serge Nubret in Paris, University in Cairo and moving to the USA where he met Vince Gironda follow Mohamed as he journeys to the Mr Olympia and World Professional Bodybuilding championships. 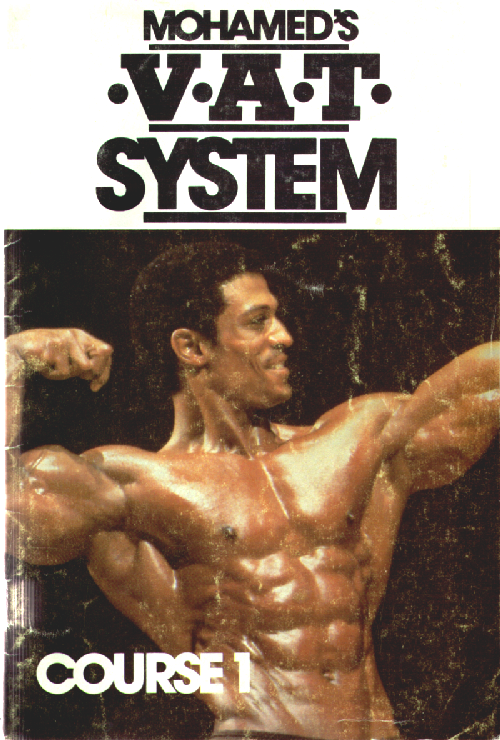 Includes detailed pictures of his life & workouts, as well as a detailed breakdown of his training and lessons learned during his extensive career. Variable Angle Training (VAT) builds upon Vince Gironda’s “A Muscle Has Four Sides” and shows how selecting the proper exercises to develop the muscles from various angles the whole appearance of the physique can be changed. Chapter IV – Mohamed Goes To U.S.A.
Chapter VI – Back To The U.S.A.
Chapter XIII – What Does It All Mean? I do them on a couple of rubber covered plates, they also make it easier to put the weight on the ball of your big toe.